Every year, millions of Americans hire professionals to build a new outdoor deck, or resurface an existing deck to make it look (and feel) like new. But there are also millions of Americans who look at the outdoor decks and patios in their neighborhoods and think to themselves, I can do that. And why shouldn’t they? There are a lot of talented DIYers out there, and it’s amazing what can be accomplished with the help of detailed instructions on YouTube and other sites. You may also have noticed that some goods retailers sell DIY outdoor deck kits, which allow homeowners to roll up their sleeves and build a basic deck without professional help. But 9 times out of 10, it will be fairly easy to determine whether a deck was built by a pro or put together by an amateur. It should be this way, when you think about it. Skilled and reputable outdoor deck builders have completed hundreds and possibly thousands of projects. Some of these people have been building decks for 20 or 30 years. They’ve worked on big, luxurious designs with built in kitchens and fireplaces—and they’ve worked on small and simple designs that need to be built equally well. When building decks and patios is your professional trade, it’s only natural that your workmanship should stand out and be visible even to the casual observer. 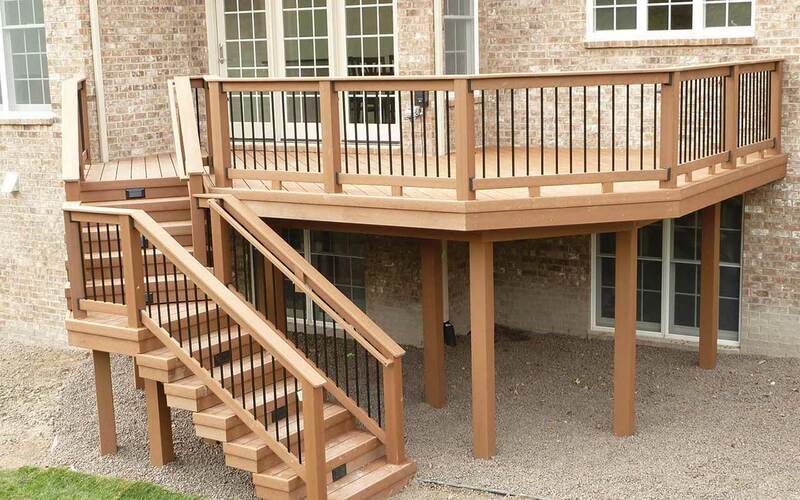 Building a deck actually involves hundreds of intricate decisions, from building a frame with the exact proportions you need to spacing floorboards, installing guardrails, and giving the deck those extra flourishes that make it truly appealing. Most people don’t realize just how many decisions go into the process of building a deck until they try it themselves. By hiring a professional, you can expect the details to be impeccable, and you can hold your contractor accountable when they are not. Building a deck is not all about form. It’s also about function. Will the deck last for years to come without any major maintenance requirements? Will it be safe, and how many guests can it hold? Safety is a major area of outdoor deck building, particularly when the deck is suspended more than 5 feet off the ground. Unfortunately, safety issues are much more prevalent in DIY decks. 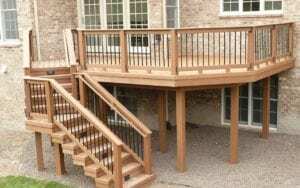 It’s certainly possible to have a great success in building your own outdoor deck; it really depends on your skill and ability in the field of construction and handiwork. If you have a lot of time and talent, you might even be able to build a deck that looks and functions like a professionally built structure. But the majority of DIY projects, satisfying though they may be, will have aesthetic and/or structural defects. Working with the right professional will almost always give you a more professional result. Now that you know the facts, the choice is yours!